MONEY TOADS are those lumpy bumpy creatures with three legs. 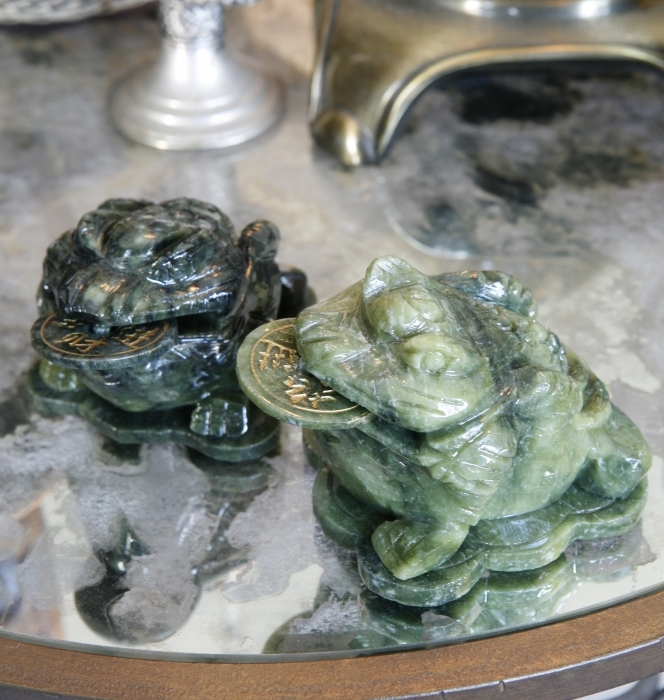 They are called "Chan Chu" and considered mythical animals in Chinese culture who are placed in the entryway of homes and businesses to attract prosperity and hold it in. 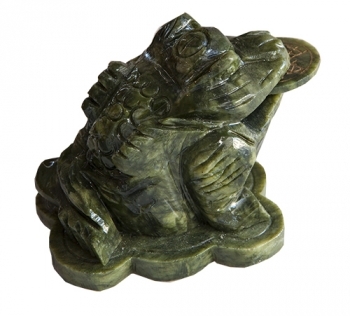 Money Toads are found near cash registers, on manager's desks and at receptions in most Asian countries. 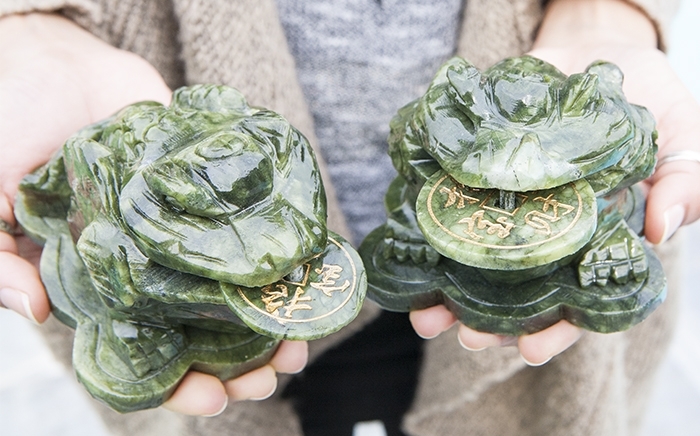 It was at the tiny crumbling Man Mo Temple in Hong Kong where first discovered the Money Toad. The saleslady at the gift shop told me to place him by my front door. When I leave I should face him outwards for protection. When I arrive home, turn him inwards to hold my good luck. I abide by her strict magical rules every day. carved jade with jade coin - 5" x 5"